But record low oil prices and a slow government response are proving disastrous for Brunei’s economy. In 2014, GDP contracted 1.5 per cent, followed by another contraction of 0.5 per cent in 2015. Government revenue has reportedly declined 70 per cent over the past three years, thanks in large part to the drop in global oil prices, drowning the Bruneian government’s budgets in red ink. Plans to expand Brunei’s refining capacity will do little to address this steep economic decline. Chinese company Zhejiang Hengyi Group has plans to establish a new refinery in Brunei with a capacity of 148,000 barrels per day. But as recent economic research into ‘value added’ industries indicates, a refinery on the scale proposed by Zhejiang Hengyi Group would only add approximately 10 per cent to the value of a barrel of oil. Expanding refining capacity only leaves the Bruneian economy further at the mercy of the Organisation of the Petroleum Exporting Countries (OPEC), United States shale producers and other forces far beyond the island state. In order to regain its prosperity, Brunei must seek to diversify its economy. More than 60 per cent of the country’s economic activity is linked to the oil and gas industry — clearly placing too many eggs in one fiscal basket. Agriculture offers one promising alternative. Although Brunei does not export beef internationally, it has cultivated a premium halal brand sought after in many predominantly Muslim countries, for use by exporters that meet Brunei’s exacting standards regarding the slaughter of livestock. Currently, Brunei imports more than 4000 head of cattle each year from Australia to slaughter, process and consume domestically as Brunei’s own feedlot system is woefully inefficient. Bruneian producers must import greater quantities of feed to make the same gains enjoyed by their Australian counterparts. A concerted effort to improve the efficiency of domestic feedlots could allow Brunei to become a beef exporter in its own right, selling to discerning customers desiring only the most premium halal beef. Meanwhile, the production of other agricultural commodities should be aggressively expanded to position Brunei as a net exporter. At the same time, the country should be selective about what markets it chooses to invest in. In 2013, the Bruneian authorities touted a US$21 million irrigation project connected to Imang Dam that could enhance rice production in the surrounding areas. But while Brunei has only a 60 per cent self-sufficiency rate for rice, the Thai Ministry of Agriculture anticipates that Thailand’s 2016–2017 rice production will yield 25 million tonnes. Brunei will only ever manage to reach a small market and has no competitive advantages to offer as far as rice is concerned. Beyond the need for an important national conversation about the role agriculture can play in the Bruneian economy, and what commodities are worth greater investment, Brunei could find some success in developing its own unique ‘knowledge economy’. 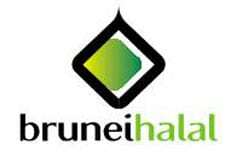 Like its premium halal brand for beef, Brunei could also develop for itself a reputation as a hub for the handling of halal cosmetics and pharmaceuticals. That might well be the direction the country is taking, as a Halal Science Centre was launched in Brunei in July 2014 and partnerships were quickly established between this institution and Florida State University, the Graduate School of Engineering at Osaka University and the Japan Food Research Laboratories. The value of Brunei’s annual pharmaceutical exports is already expected to reach US$150 million by 2018 and the country possesses abundant biodiversity, offering the potential to develop new treatment options for domestic use and export to foreign markets. Of course, US$150 million from halal pharmaceuticals will not fill the US$2.2 billion gap between spending and revenue in government budgets. Bruneian policymakers and civil society groups must not only discuss what else the country can offer beyond oil and gas, but also examine realistic alternative sources of revenue. These include particularly the implementation of a sales tax, a modest personal income tax and the elimination of loopholes that have made Brunei’s corporate income tax toothless. Paul Pryce is Political Advisor to the Consul General of Japan in Calgary and a researcher for the Jakarta-based research institution UPH Analytics.